You will receive the Recruit Founder's Pack (ARV - $20USD) for MXM (Master X Master). The evolution of the battle arena begins with MXM. Challenge opponents with a deadly fusion of Masters in competitive PvP battlegrounds or team up to achieve victory in PvE dungeon runs. 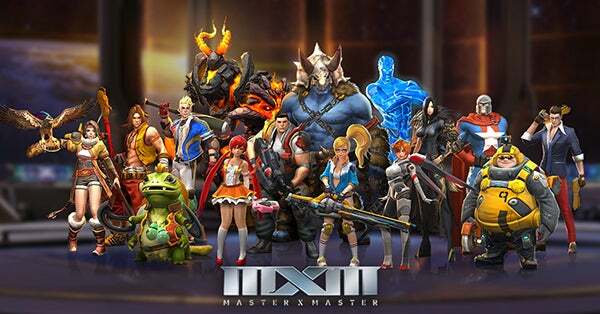 Master The Tag – Experience MXM's unique Tag System and quickly swap between two chosen Masters mid-combat, offering a new level of strategy, combos and tactics to master the battlefield. Meet the Masters – Choose from an ever-expanding and diverse selection of Masters - including recognizable characters from Blade & Soul, Guild Wars 2, and other NCSOFT games. Competitive PvP Arenas – Test your mettle in competitive matches against other Masters or AI opponents in the 3v3 Combat Arena, 4v4 Hardpoint Capture, or 5v5 Titan Ruins game modes.